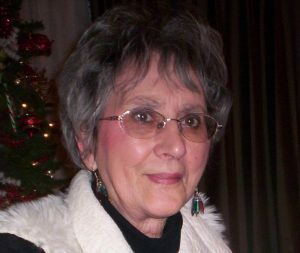 Janice Boyd, 77, of Waverly, died Monday, January 29, 2018, at her home. Memorial Service Saturday, February 10, 2018, 1:30 p.m.
Janice M. (Chromy) Boyd began her life journey on December 18,1940. She was born to Joseph and Alice (Nesladek) Chromy in Colon, NE. She ended her journey on January 29, 2018. During her time on earth, she found many joys. She found her first love, Hilburt “Hip” Stieren at a dance in June of 1962. They married on August 25, 1962. Janice became a mother to Hip’s daughter Anne, and together they had two additional daughters, Anastasia (Stacy) and Victoria (Vicky). Hip passed away in March of 1996. In January of 1997, she met her second husband, Scott Boyd. They married in May of 1997. They enjoyed 20 years of vacations and lived in several communities during their marriage, including Arlington, David City and Waverly. Her grandchildren were her pride and joy. Each held a very special place in her heart and each grandchild brought a special talent to share with her and events to attend. Janice and her siblings had a very close relationship. They shared daily emails, multiple phone calls and lunches. Some of her fondest memories were of her many “sister trips” with Bing and Margaret and her time hunting with her brother Ken. Janice is survived by husband Scott Boyd of Waverly, daughters Anne Claussen (Kevin) of North Bend, Anastasia (Stacy) Fotinos (Shawn) of Lincoln, and Victoria (Vicky) Shonka (Dean) of Schuyler. Additional survivors are her 8 grandchildren and 12 great grandchildren, her brother Ken Chromy (Kathy) of Ohiowa, and sister Margaret Nelson of Blair, along with numerous nieces and nephews. She was preceded in death by her husband Hilburt, her parents, and two siblings, an infant brother Joseph, and her sister Bernice (Bing). Services will be held on Saturday, February 10th, 2018, at 1:30p.m. at Kracl Funeral Home in David City, Nebraska. Memorials are suggested to St. Joseph’s Home for Indian Children, the Wounded Warriors, and the Make-A-Wish Foundation.